Permian Orchestra | MOJO FINE ARTS SIGN 23! What better way to promote a college-going culture among our Ector County ISD students than to highlight those headed to college and spotlight their accomplishments. 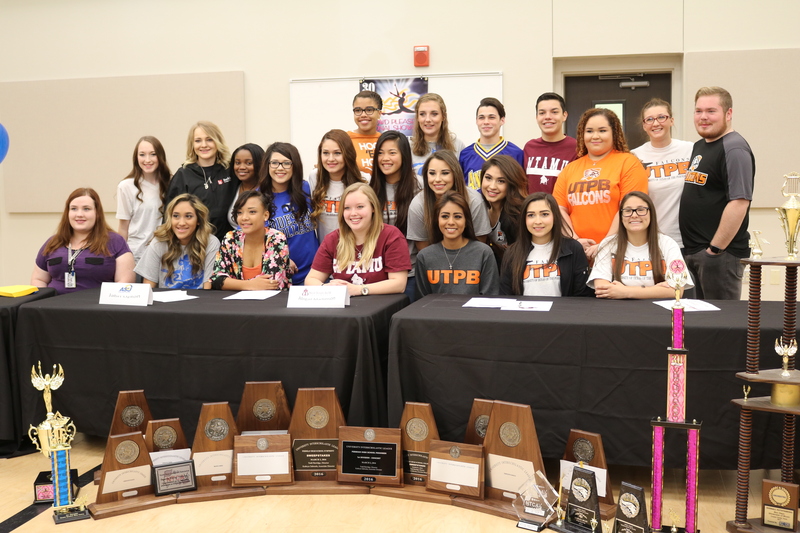 For years athletics has done this by making scholarship signings an event that generates excitement, and the Permian High School fine arts directors stole a page from that playbook this morning with the first annual fine arts signing day. 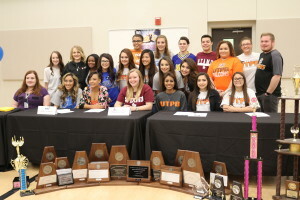 Held in the new band hall 23 fine arts students signed symbolic letters of intent for the music and dance scholarships they are receiving from the college of their choice. Displayed in front of the tables where the signings took place were some of the trophies and awards won by the PHS fine arts programs. MOJO fine arts are known across the State of Texas and beyond for their excellence and this signing day serves to reinforce that fact. At Permian HS, 50% of the students are involved in fine arts, and 70% of this year’s top 10 students in all grades are in multiple fine arts.